Paddle Against The Flow is for a generation who—faced with harsh economic realities—make things happen by studying craftsmanship on YouTube, raising funding on Kickstarter or finding ways to create and collaborate from the bottom up. This is Generation DIY. For nearly a decade, Huck has roamed the globe documenting counterculture as it unfolds, seeking out freethinkers. Paddle Against The Flow collects insights on how to live a creative life from influential indie stars. Nas on language, Cat Power on looking inward, Spike Jonze on loving what you do, and Kim Gordon on feeling the flow. They are just some of the 60 doers and creators who share a diverse range of truths, creative wisdom, and life lessons from those who paddle against the flow. FEATURING: Douglas Coupland, Dave Eggers, Spike Jonze, Miranda July, Mark Gonzales, MIA, Nas, Beck, Kim Gordon, Pharrell Williams, Mos Def, Sofia Coppola, Judd Apatow, Ai Weiwei, Beastie Boys and many more. 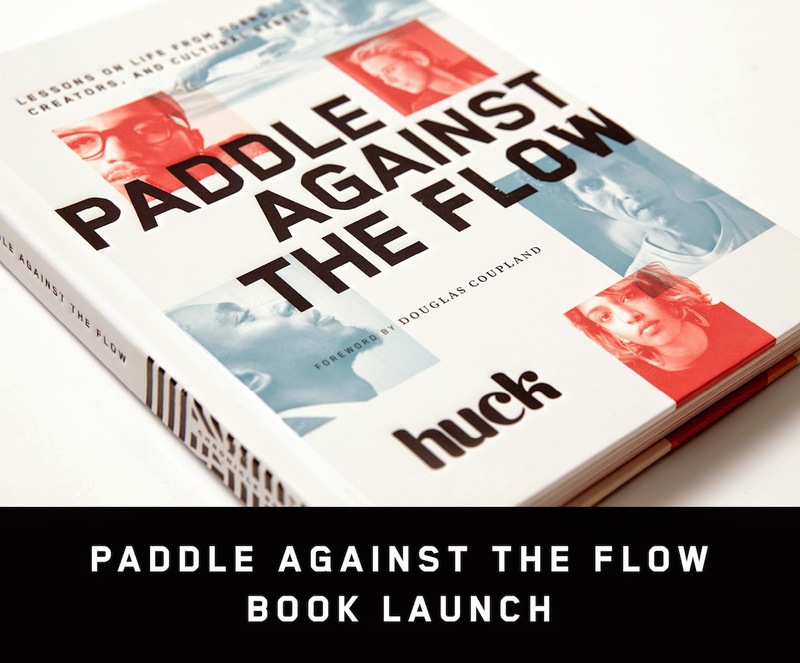 Join Huck for the Paddle Against the Flow launch party at Huck’s 71a Gallery, Leonard Street, London EC2A 4QS, on Thursday March 19, 6-9 pm. Tickets are fee, all you have to do is RSVP here. Drinks will be provided by Blind Pig Premium Cider and the launch is supported by Chronicle Books, San Francisco.